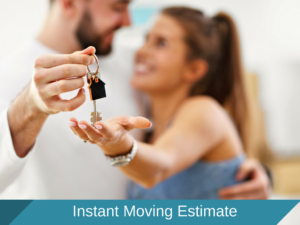 Moving is not the most economical event in a person’s life yet we all do it one time or another. All those boxes and tape are a waste for the environment so here are some ways to use moving pads and bands to alleviate some of the debris discarded after a move and make your move a green one! If you are a germaphobic, you may not want to use others boxes but if you can live with the possibility of others touching your boxes you can check NextDoor and craigslist for boxes. NextDoor is a great app if you live in a suburb – you can usually find moving boxes within a few days here. Big box stores like costco and bjs as well as liquor stores will have used boxes. When you a finished with your moving boxes you can post them on-line and/or do something useful with them. I used to let my kids use them to build castles, cars and what have you. Teens may enjoy using a razor to cut out shapes for crafts. There are a ton of cardboard craft ideas on pinterest! Some moving companies will pick up boxes at the completion of a move and use them as floor and wall protectors on another move. 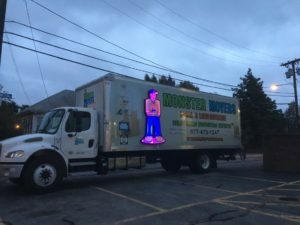 Make sure you do research to make sure you are actually hiring a real green moving company and not just a company called green movers that doesn’t use sustainable practices. Moving is the perfect time to purge and donate unused items to be used by others. Again, NextDoor is a great app to use where you can post a curb alert letting others know that you have free stuff on your curb that they can take.